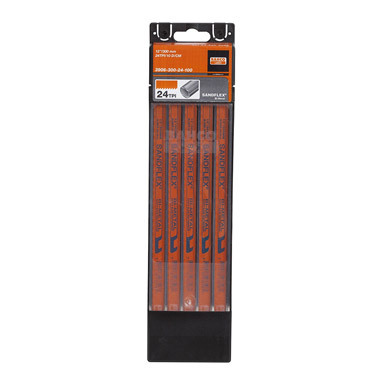 These 12" Bahco Hacksaw Blades 18 TPI are durable saw blades and suitable for sawing a range of different metals. Suitable for use on all types of metal. Made from flexible spring steel. Tooth line in high-alloyed super high speed steel. Combines extreme cutting performance and resistance to wear, with a high degree of flexibility. Vastly superior to all hard, high speed blades or conventional flexible blades.